There is no use of writing a well-researched, original and engaging content if nobody is reading it. An article is meant to be read by people. If it is hidden from the online community’s or readers’ eye, then it is a waste of writers’ ability and time. At this time, search engine optimization, or SEO, appears on the scene. SEO is a boon for writers, which helps their write-up to list on the first few pages of major search engines like Google and Bing, which subsequently leads to more visibility and credibility. SEO writing is proved as a valuable asset for many companies to get a tremendous boost in traffic as well as sales. Many writers are not acquainted with the value of SEO and those who are familiar with this term might not know how to infuse SEO keywords in their article, and hence their published incredible article only collects dust in the cellars of the internet. To make a strong online presence, experienced online businesses are approaching professional SEO content writing services these days. Because they know only a well-written, specialized search-engine-optimized article from a reliable writing agency will help them to get exposure online and hence build credibility. A compelling, original content is the most effective way to generate powerful and important backlinks to the website. Getting your article appears on the foremost page of search engines increases its trustworthiness and propels the reader to click it. It is most-likely that the person reading your article might click the backlinks it containing that ultimately increase the traffic your website. Therefore, SEO-article helps businesses to gain positive results quickly. Writing an informative and well-written article is a time-intensive task. It is ideal to leave it to professionals who are trained in creating content, which communicates with the clients in their language and holds their attention. Content is the mainstay of every business and outsourcing it assures good results from the onset. When you outsource SEO services, it minimizes the workload and saves your precious time that you can utilize to engage in other activities that are essential to the core development of the company. It is also important in getting quality content and eliminating several other complexities. Outsourcing the SEO services helps in saving the cost involved in hiring and training of the staff. 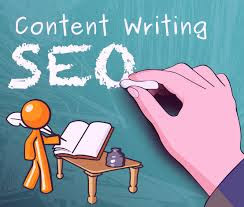 When you internalize SEO content writing, you recruit new employees who are well-versed with SEO based content writing. Once you appoint them, you will need to train them to create the content you are seeking. If you are already unfamiliar with the world of SEO writing, you will have to work harder to investigate the accurate resources and take their writing skills to the level you want. A content writing service provider ensures you get high quality services at the best possible rates. Many SEO articles providing agencies offer various plans from where you can opt for the plan that suits you the best and the one which you can afford. Moreover, outsourcing content offering companies keep you updated with the latest developments in the industry and then help you to outshine your competitors. A decade back, when the focus of public relations (PR) professionals was on traditional media, it had been really difficult to monitor and gauge the effectiveness and impact of PR campaigns. 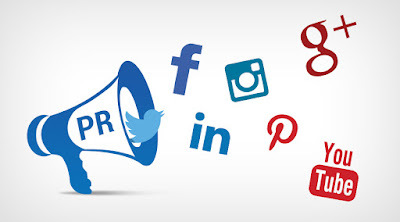 Today, PR professionals interact with journalists and influencers through social media, they also discuss things with marketing team to ensure successful launches of products and services. In addition, they develop blogs and manage social media channels to enhance the visibility and image of a brand. In the present era, it can be easily checked that how long is the list of people talking about a particular program, these discussions and comments can be further segregated in two separate categories – positive and negative. If a company finds that its social media mentions have increased after launching PR program, it means, the campaign is going on a right track. Businesses can estimate the success of a PR campaign by tracking the newspapers, magazines, TV channels and of course the digital media. Also, it is vital to ensure that the information shared by the marketer is viewed and responded by the target audience. Through clip counting, one can calculate media impressions to know the number of people who may have seen the article, or read something about the campaign on a web page or blog. It is assumed that an article in a newspaper or magazine will be read by the number of people equivalent to the readership of a particular vehicle. Apart from the measurable quantity of the articles in several publications and impressions or “eyeballs”, companies should monitor the quality of content that gets published. Measuring their publications or mentions against how often or where your rivals get placed can help distinguish the PR firm’s efforts. Companies should analyse that the published content beautifully conveys the key message. Another way to decide that the PR is raising the brand awareness is to evaluate the traffic your website receives before and after launching the PR campaign. An increase in new visits further justifies the effectiveness of media-driving efforts. To measure what influenced people to visit your site and make purchases, you can ask them how they heard about you and your offerings. Awareness, attitude and action, these 3As should be the prime objectives of every PR team. Therefore, a comprehensive market research before making a PR plan should be the foremost priority of the top management. Better the research, easier would be to assess the impact of PR.